If you want to play along (and you really should), head on over to That Artsy Reader Girl, read a few simple instructions, create your own list, and spend some happy hours clicking all over the book blogosphere. It's a great way to discover new blogs to love, revisit favorites, build up your TBR pile, and have a good ole time talking books. What could be more fun? 1. 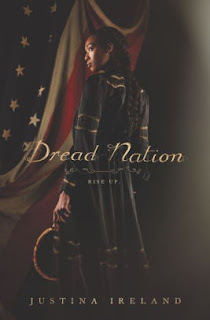 Dread Nation by Justina Ireland—This zombie/alternate history YA novel is one of my most anticipated releases of 2018. 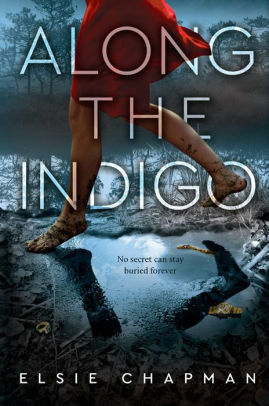 I was lucky enough to win an ARC of the book from the fabulous and always generous Mindy McGinnis. It showed up yesterday and I can't wait to dig in! If you don't read McGinnis' blog or follow her on social media, you really should. The YA writer is always hosting low-entry giveaways for great books. 2. The Lost Family by Jenna Blum (available June 5, 2018)—Although Blum's newest doesn't come out until summer, there's an ARC on its way to me as we speak. 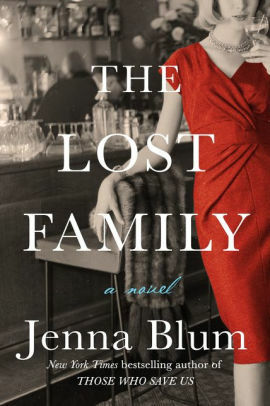 I loved the author's previous two novels and can't wait to read her newest, which concerns an Auschwitz survivor's battle to banish the ghosts of his past. 3. 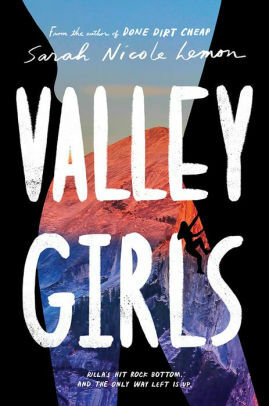 Valley Girls by Sarah Nicole Lemon (available May 8, 2018)—This YA novel about a teen who is sent to live with her park ranger sister at Yosemite and the adventures she has when she falls in with a group of rock climbers, sounds interesting. 4. Along the Indigo by Elsie Chapman—Out today, this one is about a teen's desire to escape the grim life for which she feels destined. It sounds gritty and compelling. 5. 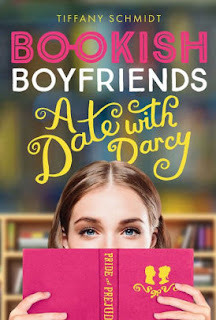 Bookish Boyfriends by Tiffany Schmidt (available May 1, 2018)—This YA novel about a girl whose bookish crushes start coming to life just sounds fun. 6. 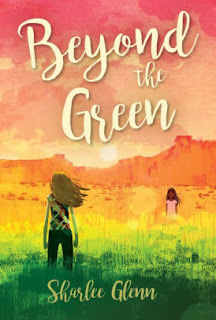 Beyond the Green by Sharlee Glenn (available October 2, 2018)—Although this MG novel doesn't come out until Fall, I'm really, really looking forward to reading it. It's about a girl whose big Mormon family fosters a baby from the Ute tribe—and what happens when the child's birth mother decides she wants her back. 7. 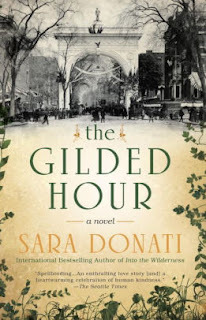 The Gilded Hour by Sara Donati—I find the Gilded Age a fascinating time period, so I bought this family saga recently because it sounds intriguing. 8. 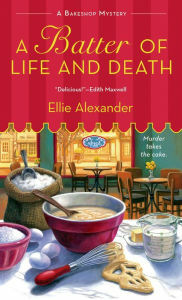 A Batter of Life and Death by Ellie Alexander—I've been trying to find lighter novels that satisfy my constant craving for mysteries without giving me nightmares. I think this series is going to fit the bill nicely. I just finished the first, Meet Your Baker, and am looking forward to this one, the second. 9. 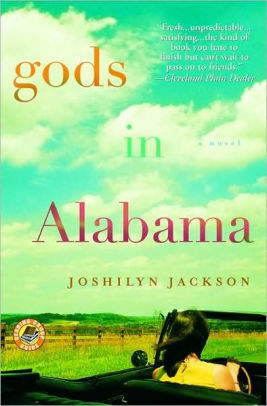 Gods in Alabama by Joshilyn Jackson—After loving Almost Sisters, I've been wanting to read more of this author's heartfelt Southern novels. 10. 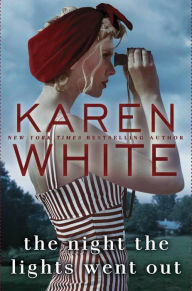 The Night the Lights Went Out by Karen White (available March 27, 2018)—White's books are similar in setting and theme to Joshilyn Jackson's, but they're more gentle and less R-rated. This one, about a divorceé whose new start in Georgia isn't going so well, sounds interesting. What do you think? Do we have any books in common? Have you read any of these? What did you think of them? What will you be reading this Spring? I'd truly love to know. Leave me a comment on this post and I'll gladly return the favor. I just started reading it today. I'm only on Chapter One, but I'm really liking it. The Night the Lights Went Out is one I have had my on for a while. Bookish Boyfriends looks cute. Enjoy these- happy reading! Ha ha. I hope so! Ooh I like A Batter of Life and Death-what a title!! I like cozies! My favorite thing about cozy mysteries just might be the "punny" titles! You've got some good ones here! Hope you enjoy all of them. I need to try one of Ellie Alexander's books - I like her Portland adventure mysteries under her other name, Kate Dyer-Seeley. I'll have to look that series up. I love that all Alexander's books are set in the PNW -- makes me homesick, though! 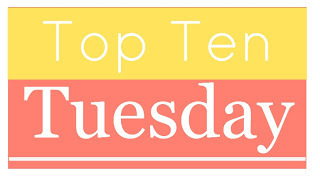 Looks like a good list of books though I know you'll read WAY more than just these 10! It looks cute, doesn't it? I hope it is or I will be really disappointed! Bookish Boyfriends sounds totally cute! Sometimes I enjoy a light and fluffy YA contemporary and this sounds perfect for that. Me, too, especially when I've read too many dark, heavy books. Occasionally I need to read something that doesn't give me nightmares! Thanks for stopping by, Theresa! I really want to read Dread Nation too. It's on my TBR but not necessarily for spring. Who knows when I'll actually get to it, lol. Well, it doesn't even come out until April and it's a thick book, so it might take some time to get through. I've just barely started it, but I'm really liking it. It has such an interesting premise! Great list! I completely forgot to put it on my list, but I'm excited for Dread Nation too. Me, too! I'm so excited to FINALLY have a copy in my hot little hands. I just hope it lives up to my very high hopes. Great list! None of these books made my TTT but I'm interested in reading Dread Nation. I will definitely be reading A Court of Frost and Starlight this spring but I'm not sure what else I will get to haha. Ha ha. I rarely end up actually reading all the books on my TTT lists, but I do love making them.